Why participate in a Side Mount Course? I commenced technical diving in twin back mounts with a manifold. Despite numerous attempts and assistance from more experienced divers, I was just never really happy with the configuration. I like to have control and the only time I felt in control was swimming face down. If I turned on my side or attempted a roll over suddenly the full weight of the twins was working against me. At the end of the training dives our instructor, Linda Claridge, provided a short opportunity to try side mounting and I was converted immediately. It just made complete sense and for the first time in two years I was immediately comfortable wearing two cylinders in the water. The difference between twin back mounts and side mounts really is that dramatic. I spent several months bastardising my existing harness towards sidemount, but, realising that this was never going to be ideal, made the decision to purchase an Armadillo dedicated side mount rig. I was happy with the Armadillo setup, however, I also realised that tweaking a side mount rig can reward you in surprising ways when you get it right. So, after much deliberation, Joe Tan and I decided that a side mount course would be beneficial to accelerate our learning curve. We started in the traditional manner of approximately 4 hours classroom theory covering such topics as "Why Side Mount" including advantages and disadvantages, dive skills to be assessed, equipment configuration, hazards and equipment failure modes, and planning your dive to ensure safety is always the first consideration. After Steve had enthused us with the potential of the new skills we would learn, and with the motto "Practice makes Perfect", we headed out to Kilsby's Sinkhole to commence in water training. Once on site Steve commenced critiquing our rig configuration, explaining how and why his recommendations would improve and streamline our trim which assists in finding neutral buoyancy quickly. Side mounting independent cylinders increases task loading as you are required to regularly check two SPG's and swap regulators to maintain air consumption balance between cylinders. However, this disadvantage is easily outweighed by the increased safety margin of being able to physically inspect vital air supply failure points of both first stages and all hose connections. The majority of the first day was spent explaining and then perfecting this setup, always coming back to pro's and con's and thus always considering why and "is this the best option"? A full day at Kilsby's Sinkhole with the morning spent first tweaking the setup and weighting. Once sorted, we commenced the repetition of practicing and striving for perfection. We established a straight line at the 10 metre mark and simply swam in circles perfecting our trim while performing various skills including air sharing and stowing of the 2 metre hose etc. In the afternoon we were provided with the opportunity of wearing the Razor harness, including further skills practice skills practice. I was very surprised at the significant difference between the Armadillo and the Razor harness. Minimalism is better and the Razor bladder is very effective in providing lift only where it is needed at the hips. It's all about balance and trim to enable the diver to glide through the water with minimal effort whilst maintaining total control. Our third day commenced in the classroom with further theory, as we had requested instruction on handling and carrying a stage. We thought this would be straight forward and quick, but again Steve spent extra time discussing the pro's and con's of each and every set up option. 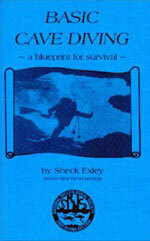 I thoroughly enjoyed this approach as I prefer to have a full understanding of how and why when preparing for a dive. I often repeat several "what if" scenario's in my head to ensure I'm comfortable the plan is the best it can be for my current skill set, level of understanding and the dive we are undertaking. In the afternoon we returned to Kilsbys to put the stage diving theory into practice and also go over areas of weakness that required tweaking before we could confidently state that we were on our way to side mount perfection. By this stage of the course, I had significantly altered my Armadillo set up from where I commenced on Friday. I no longer utilised the door handles to attach my tanks. I used D-rings on my hips which shortens the distance of potential tank swing. This is especially noticeable when rolling upside down. Previously, once righted, I could feel the tanks slap back into position. Having the tanks connected to my hips means that they are never out of position, regardless of my physical orientation. I also broke down my manifold for the side mount course so that the Armadillo bungy slips over the plugged extension posts. Tanks then twist into position, held against my chest with valves easily reached at right angles to my body. We ended the course with two dives in Piccaninnie Ponds. We put all the skills and configuration we had learnt together in the first pond and then simply enjoyed diving the chasm. I was extremely happy with what had been achieved over the past three days. These were our assessment dives, and what an incredibly beautiful place to complete our learning. Return on investment of the cost of the course was made by the close of the second day in configuration improvements alone and understanding why side mounting is becoming the configuration of choice for technical divers globally. Our final day cemented what we had learnt and completed our accelerated learning curve. My in water comfort level and confidence in my own ability to calmly solve a problem has been greatly enhanced by doing this course. The learning and tweaking of my equipment continues five months after the course, as it will into the future. I believe strongly in continuous improvement in all aspects of life and especially where my enjoyment and safety is critical. I cannot imagine returning to back mount configuration for any technical diving as I am most comfortable side mounting. I recommend a side mount course as a safer training option for the accelerated learning curve a technical diver needs to complete, with the idea the faster you can safely complete the learning curve the safer you will be. Good luck side mounting !